This charming baseball flyer features a row of baseballs and some classic baseball art. The flyer is black and white to keep printing costs low. 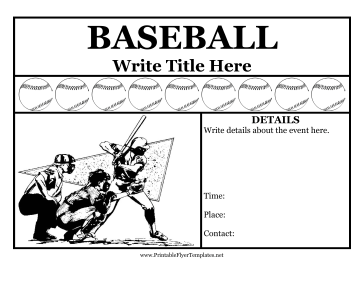 Whether you're organizing a Little League team or a day at the ballpark, this flyer will be sure to draw in baseball enthusiasts.